I love chocolate. Usually I either buy or make dark chocolate and if I’m feeling really in need of comfort perhaps a milk chocolate bar will find it’s way to me but I never indulge in white chocolate too often in fear of it’s ridiculously high quantities of sugar. Then I discovered homemade white chocolate. This isn’t your usual bar of candy like white choc. It’s a home made version with a different texture and only 3-5 natural ingredients. It’s sweet (although naturally), so indulgent and really does have the comforting qualities of white chocolate. Cocoa butter is an important ingredient in chocolate making. It’s gives that velvety melt in the mouth texture which we all love! 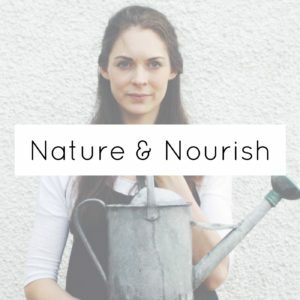 Extracted from the cocoa bean, this fat is full of polyphenols which are powerhouse antioxidants that stave off ageing and inflammation. In fact it’s the polyphenols that make cocoa butter really long lasting! Local honey is a well known cure for hayfever. It’s also full of nutrients making it a way better choice of sweetener than cane sugar. We’re only using 1 tbsp in this recipe. Made from fresh coconut milk this tastes incredible and has all the health benefits of coconut-a great one for anyone with hypothyroid! 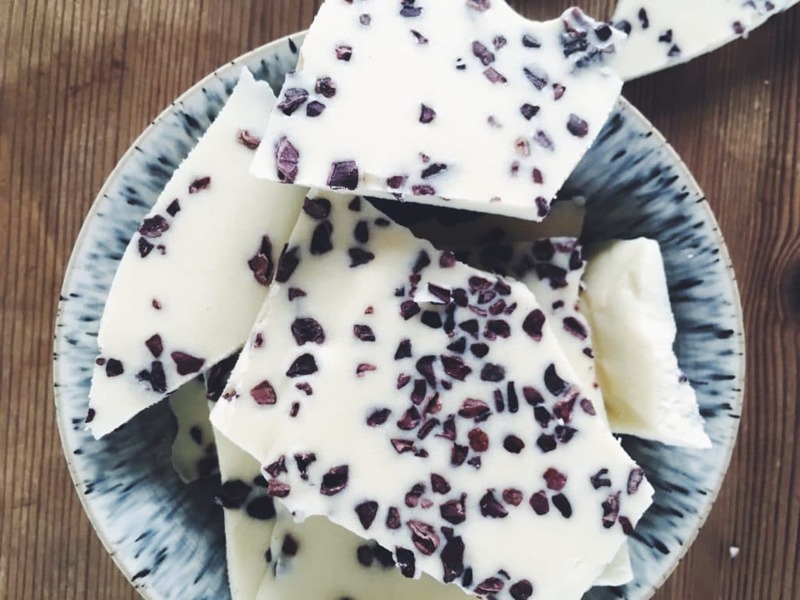 You can decorate the top of this therapeutic creamy slab of choc with anything from cocoa nibs (my choice here) to dried rose petals (delicious!). A smallish container lined with baking paper (I used a roasting tin that measures about 6x4inches). In a double boiler (just a heatproof bowl over a simmering saucepan of water.) melt the buttons of white cocoa butter. The clunk and clutter of the cocoa butter and gently stirring is enough to set your world to rights. Take the bowl off the heat and add the coconut milk powder. (Have you tasted some yet? It’s so good!) Stir in well for a couple of minutes. Add the honey and a pinch of salt, stir and then pour into the lined tin. 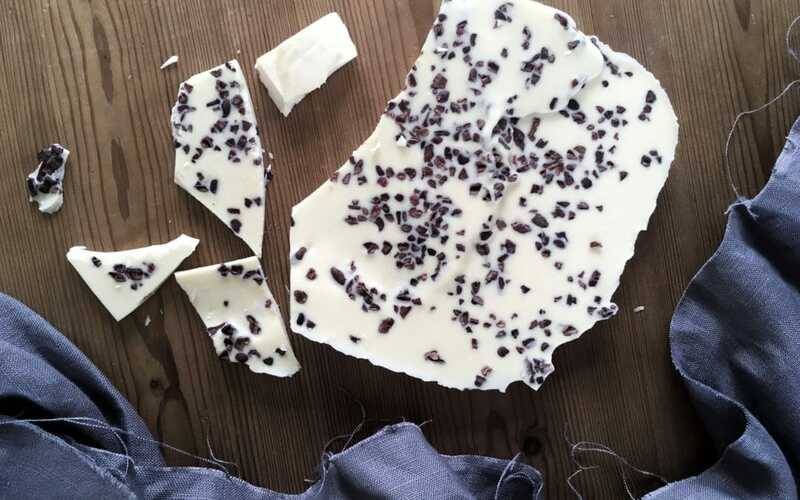 Top with cocoa nibs or rose petals. Place in the fridge to set. Once solid, break into irregular chunks and enjoy. I store this in the fridge.